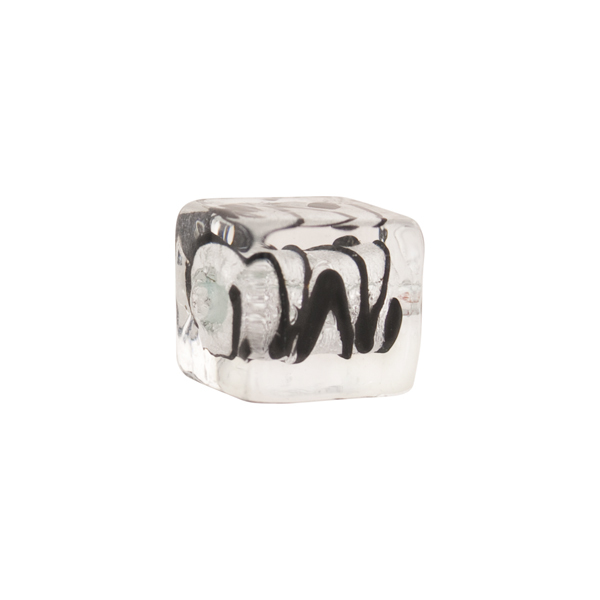 Bright Murano Glass Bead made with .925 Sterling Silver foil with zigzags of black and dots where the zigzag ends. The size is approximately 10mm by 12mm with a center 1mm hole. 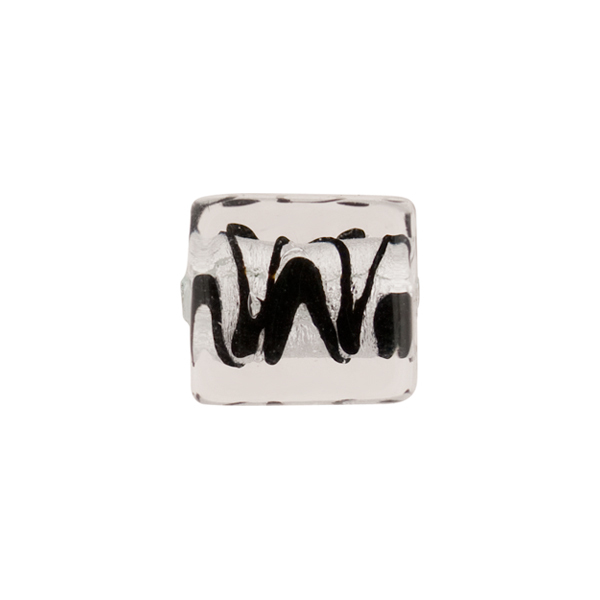 The silver foil and zigzags are on a small center cord with heavy clear Murano glass encasing the center which gives it a magnified look.